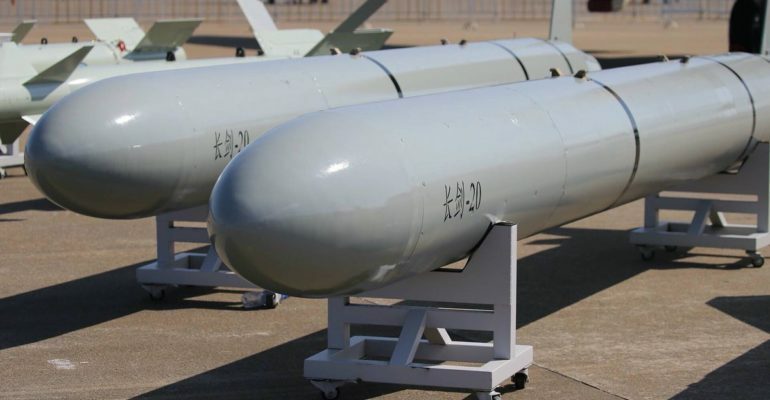 [i] IHS Global, “Military might – China develops its strategic missile systems,” Jane’s Intelligence Review 25.9, September 1, 2013, http://www.janes.com/magazines/ihs-janes-intelligence-review. [ii] James M. Kowalski, Command Briefing, U.S. Global Strike Command, May 7, 2013, available at http://blogs.fas.org/security. [iii] Center for Strategic and International Studies Missile Defense Project, “Hong Niao Series (HN-1/-2/-3),” last updated August 12, 2016, https://missilethreat.csis.org/missile/hn/. [iv] Global Security, “DH-10 / CH-10 / CJ-10,” no date, http://www.globalsecurity.org/wmd/world/china/lacm.htm. [v] Robert P. Haffa Jr. and Michael W. Isherwood, “Long Range Conventional Strike: A Joint Family of Systems,” Joint Force Quarterly 60 (1st Quarter 2011): 103, http://ndupress.ndu.edu/portals/68/Documents/jfq/jfq-60.pdf. [vi] Haffa and Isherwood, “Long Range Conventional Strike,” 103.